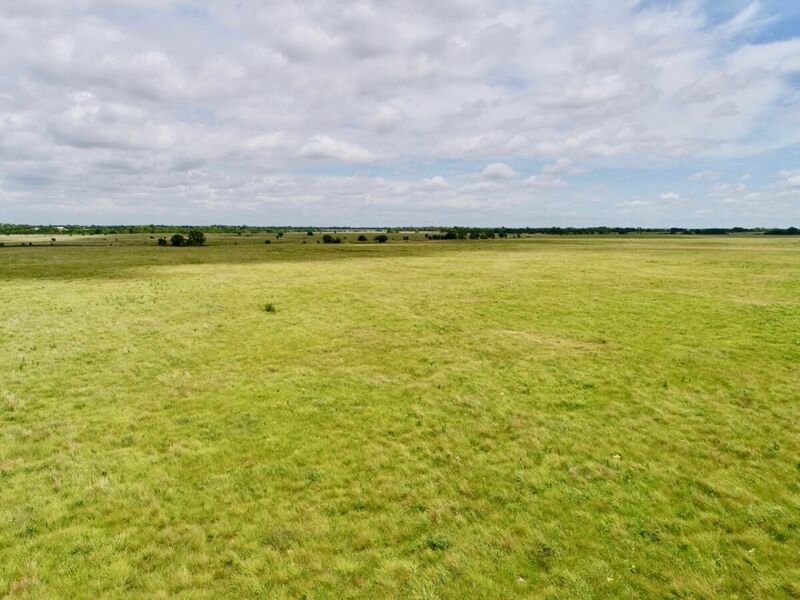 PROPERTY DESCRIPTION: 80+- acres of pasture most recently utilized for cattle grazing. This tract has 2 ponds, an old windmill that has not been used in many years, and oil production. The Buyer shall receive the Sellers mineral interest. Past oil income was; 2014-$6331, 2015-$2827, 2016-$2224, 2017-$828. There is a 10″ rural water line running along Teter Rd, making this an excellent candidate for a home building site. Great access and location, just 1/2 mile from blacktop Bluestem Rd and 2 miles from blacktop HWY 77. LEGAL DESCRIPTION: The North Half of the Northwest Quarter, Section 32, Township 26 South, Range 06 East of the 6th PM, Butler County, Kansas. 2017 REAL ESTATE TAXES: $119.48. PROPERTY DESCRIPTION: 80+- acres of pasture with scattered timber, 3 or 4 ponds, and nice gently rolling terrain. There is a 10″ rural water line running along Teter Rd, making this another excellent candidate for a home building site. Great access and location, just 1 mile from blacktop Bluestem Rd and 1 1/2 miles from blacktop HWY 77. LEGAL DESCRIPTION: The North Half of the Northeast Quarter, Section 31, Township 26 South, Range 06 East of the 6th PM, Butler County, Kansas. 2017 REAL ESTATE TAXES: $165.44. LAND LOCATION: Both of these properties are located south of El Dorado, 1 1/2 miles East of HWY 77 on 50th OR 1/2 mile West of Bluestem Rd on 50th.